← Creative Campaign High Fives – I saw Smiley. Does that dude even own a shirt? Yes. And it’s awesome. As if we didn’t love Taylor Lautner enough already… (TEAM JACOB!!!) he’s earned himself a high-five with this epic shirt. I want one! ... and the shirt. Yes, homophobes will have something to say about Taylor’s sexual orientation… who cares what it is? Who CARES!? Thank you Taylor. Keep going to gym. 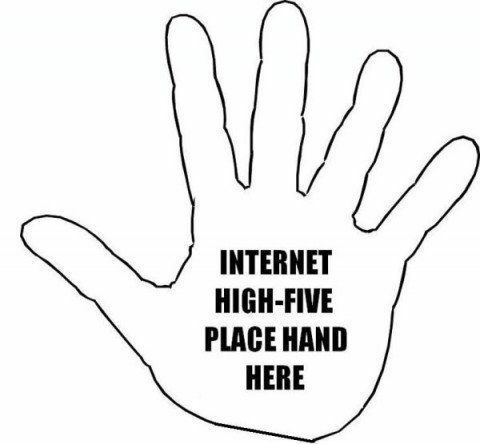 And *High Five* for your rad t-shirt. This entry was posted in Awesomeness and tagged Abs, body, fashion, Twilight. Bookmark the permalink.